Picture this: Your business is sponsoring an organization who needs your logo for their website. But, when you give it to them, your logo has an ugly white box around it. Has this ever happened to you? And why does this happen? Are you using the right type of image? 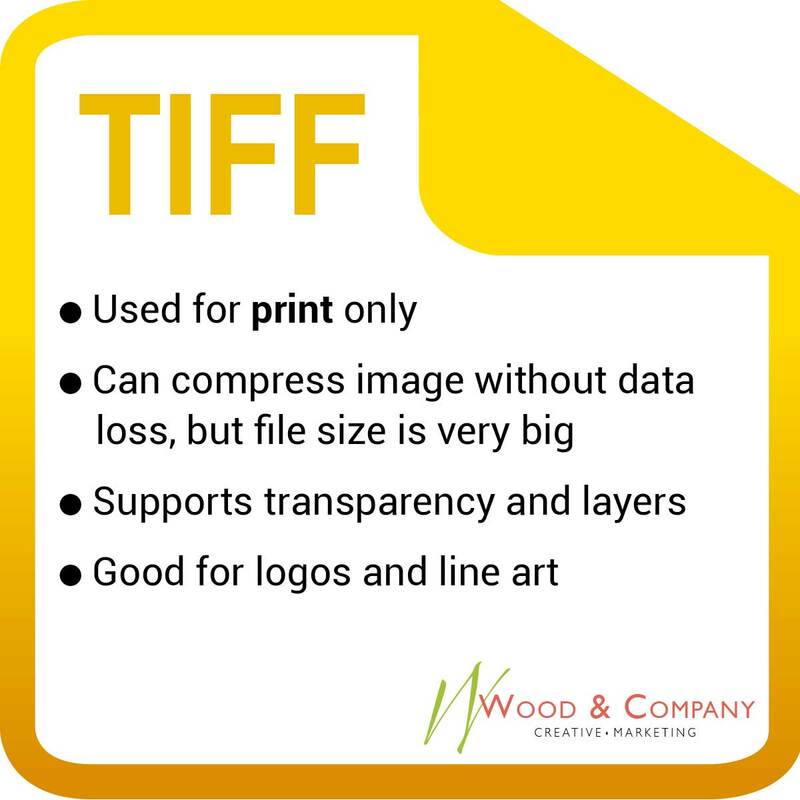 There are many image file types out there and picking the right one is critical. 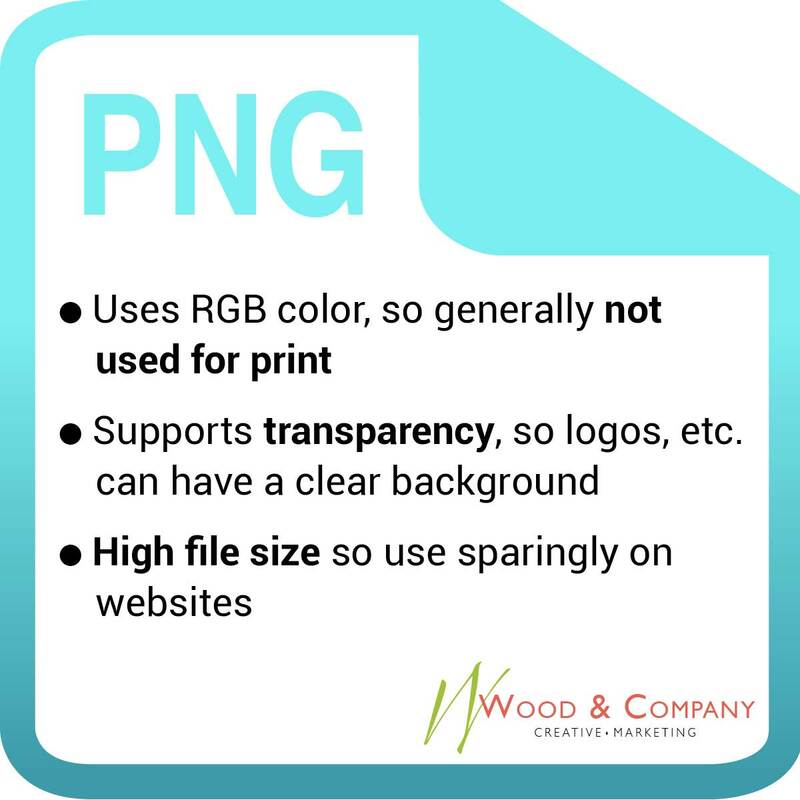 The wrong photo type can make your image and/or company look bad, and can also waste a lot of your time, as you’re stuck re-working the images. So let’s learn the basics about image categories and uses. 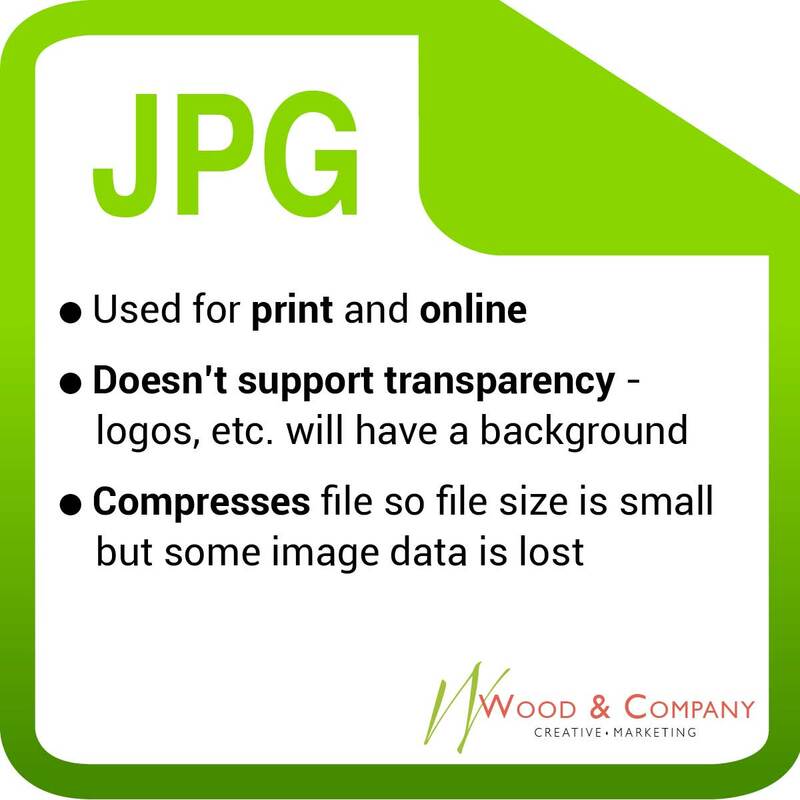 Raster images are based off a grid of individual pixels of color, which make up a bigger image. These are the types of images that appear to be blurry when enlarged, because their pixels can be seen. The pixels appear because they have literally been stretched beyond their original size. In other words, raster photos are resolution-dependent. Vector images, on the other hand, are mathematical based, and they use lines and shapes that have been designated a color and location. Think of this as a formula that calculates your design, so when you go to re-size it, the same formula will just re-calculate the design and render the image properly without pixilation. 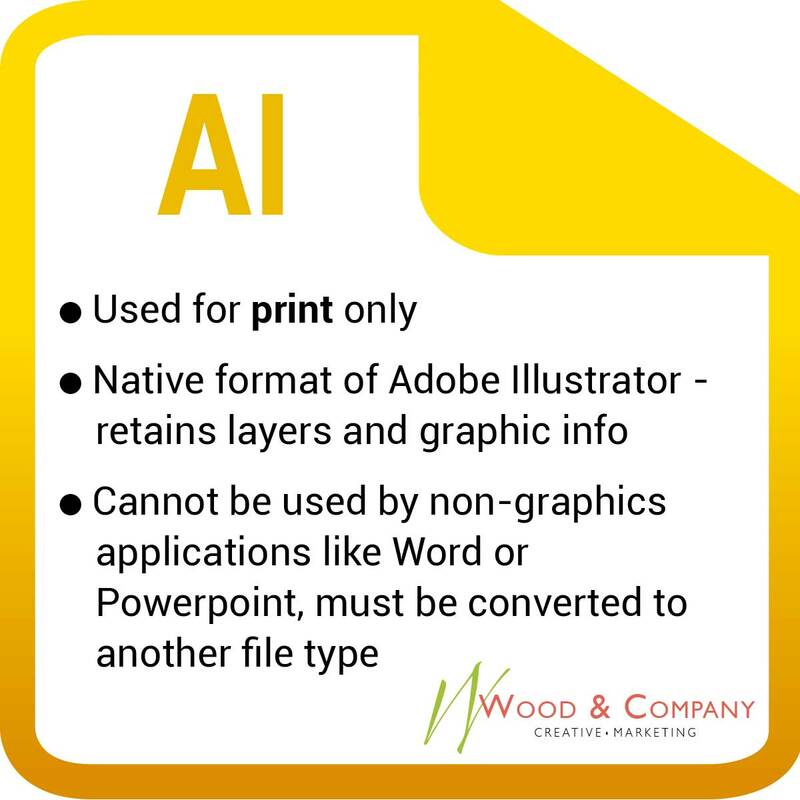 Overall, vector files are best for text, logos, signage, and some illustrations, but can’t handle photographic images. 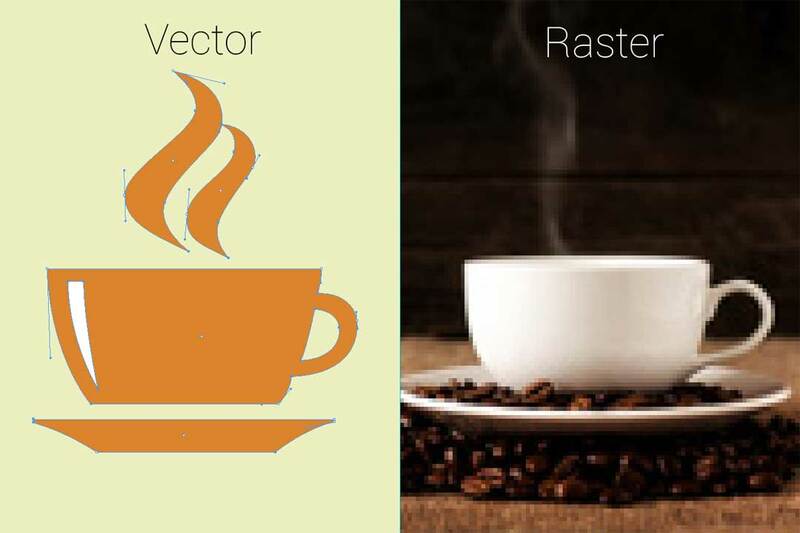 Most vector images would have to be converted to a raster file for use online. 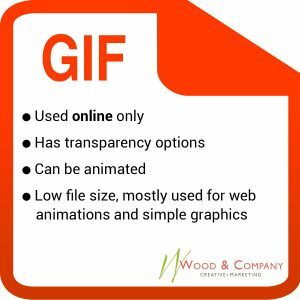 An exception is SVG (Scalable Vector Graphics) files. These files use a text-based formula to create a vector image, and are used exclusively online. 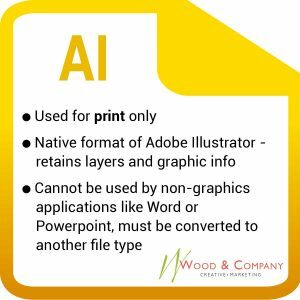 Raster images are used in print and online, and need to have the correct resolution (pixel density) for the size at which they are being used. 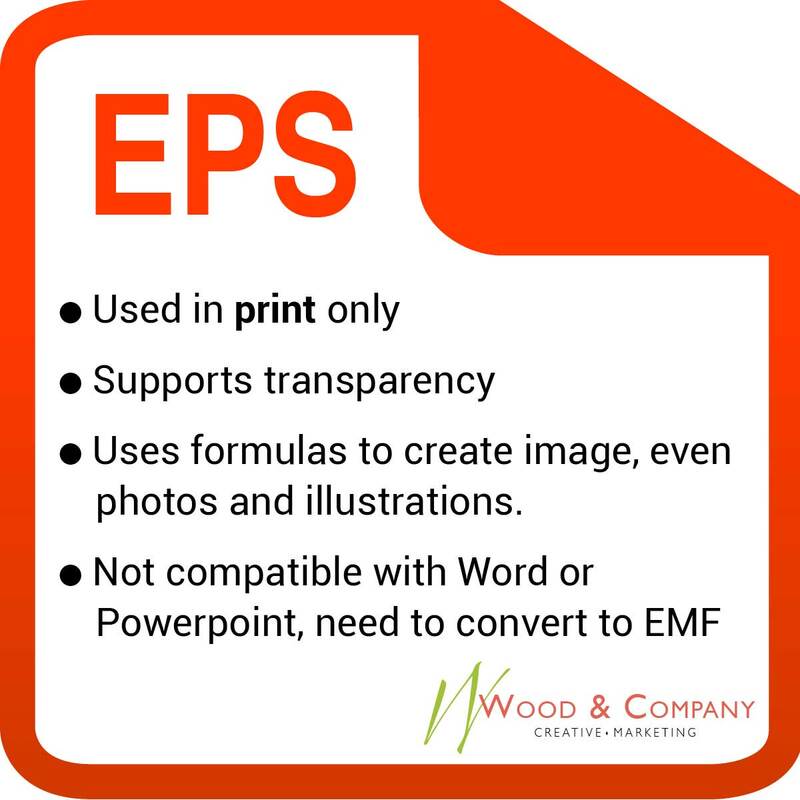 Most printed materials should have 300 pixels per inch, but online images generally need 72 pixels per inch. What if I want to convert my file types, you ask? Well, generally speaking, raster images can’t be converted to vector images. They need to be completely recreated in vector graphic software. 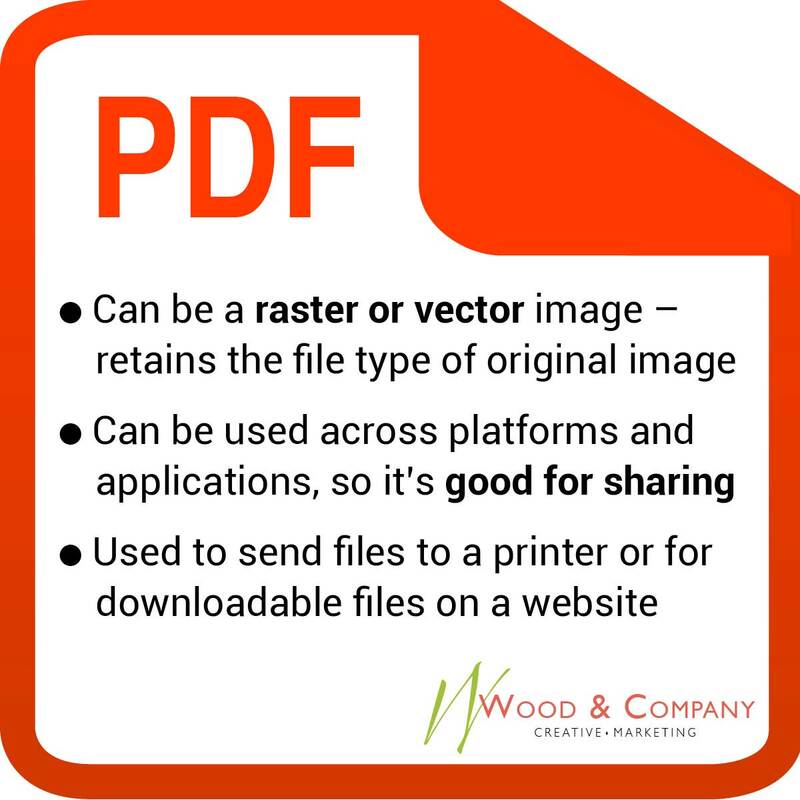 Vector images can be converted to raster images by simply saving as the non-vector file type. There should be no difference in appearance if you’re not enlarging the raster version of the image. (Tip: Save it as a separate raster file because once converted into pixels the vector information is lost). Can I increase the image quality of a raster image by increasing the resolution? No. If you increase the resolution of an image, it just breaks the original pixels into smaller pixels. The appearance will be the same. 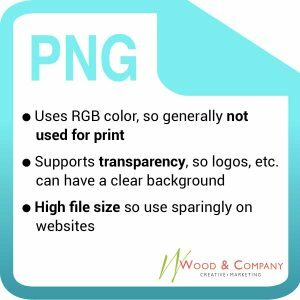 There are some Photoshop filters that can help with this, but generally speaking, you can reduce raster images, but enlarging them is a bad idea. Unless you’re looking for a fuzzy, pixelated photo, then go for it! So did you get all of that? It was a lot, I know. 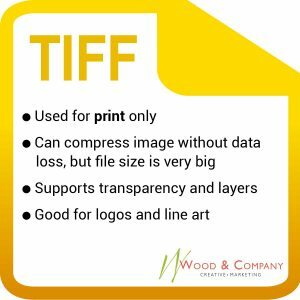 There are so many different image file types that it can be hard to keep them straight. And each is best for a different purpose, so there is no one correct file type to use for everything. However, whatever images you use, make sure to follow proper channels when working with images that don’t belong to you.